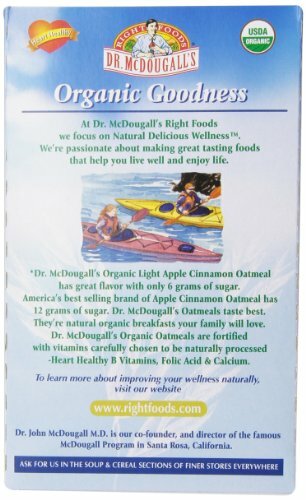 Dr. McDougall's Right Foods Organic Instant Oatmeal, Light Apple Cinnamon, 8-Count Boxes (Pack of 6) | SleepyChef.com | everything breakfast! 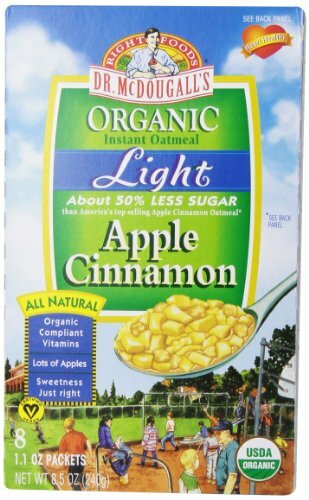 Dr. McDougall’s Apple Cinnamon Natural Light Oatmeal has 50% less sugar than other major manufacturers. It is loaded with delightful chunky natural apples and flavorful cinnamon. 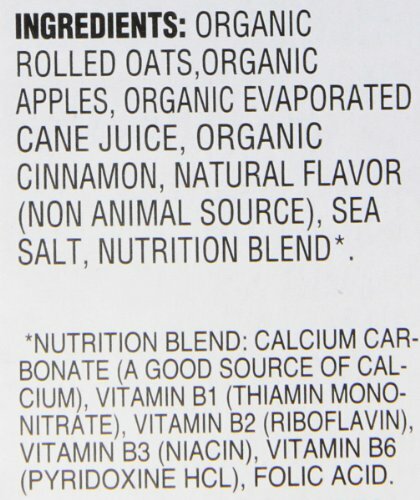 It has just the correct sweetness combining tasty organic apples, organic cane juice, and pure LoHan fruit powder. LoHan fruit has been loved in Asia for centuries. It has little or no effect on blood sugar but adds fantastic natural sweet taste. They are produced with no refined sugar or artificial sweeteners.